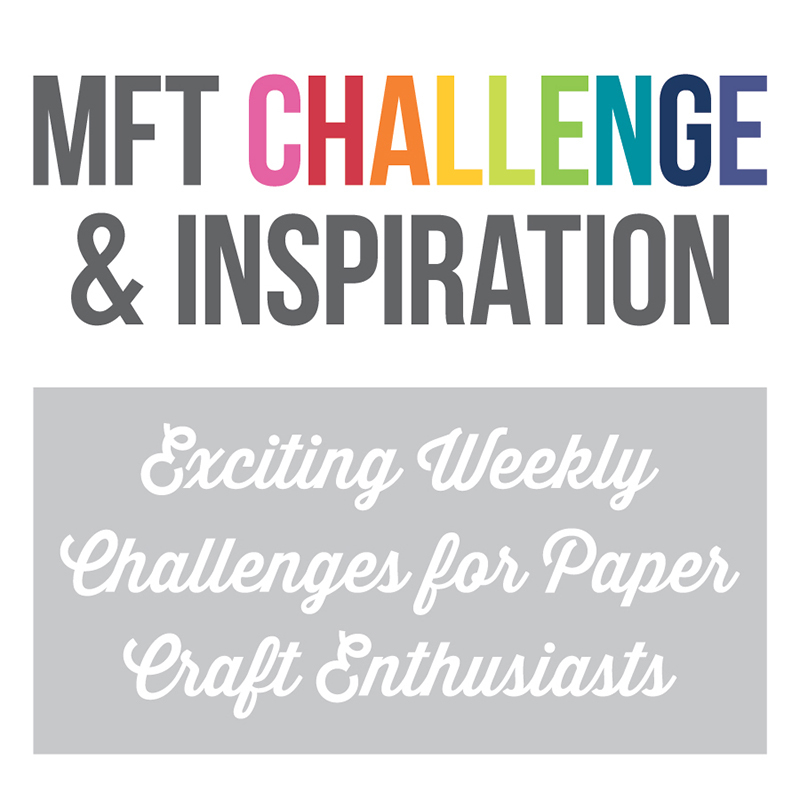 Paper Pursuits: Time to celebrate! Two Year Blogaversary Candy! I mentioned last week that I'd reached my two year blogaversary and that I'd be offering up some blog candy to celebrate. So, today's the day! 2. Be sure to leave your email addy in your comment so I can get in touch with you in the event you win. Failure to leave your email addy will disqualify you. 3. The winner must respond within 5 days of notification or I'll choose another winner. That's it! You don't have to become a follower (unless you want to, of course, and I'd welcome you if you did), you don't have to give me your first born. Just leave a comment--and your email addy. Easy peasy :) I'll choose the winner with Random.org. Deadline is Sunday, June 13 at midnight EDT and I'll notify and announce the winner sometime Monday, June 14. Sorry, US folks only. Thanks so much for all the comments/support/encouragement I've gotten over these two years--each and every one is treasured. I've made so many awesome friends through my blog and each and every one of them is treasured too. Thanks again for a wonderful two years! Congratulations on your 2 year anniversary!! Such awesome blog candy!! Congrats on your two years blogging! I haven't been around all that time but have enjoyed your blog posts! Thanks for a chance to win-looks like great candy! I have only been following your blog for a few months now but I absolutely love it. I enjoy checking my email every day to see your latest creations. I have been inspired so much. Happy Anniversary! and I wish you all the best for many more. Oh boy I'm # 1. I've loved your creations for 1 1/2 years now. Can't believe it been another year of blogging. Great candy. Just what I need to take me through another month of fun crafting. Thanks for the chance to win Barb. Congratulations on two wonderful years. I appreciouate the art you share, you have a gift. how wonderful, congrats on the 2 year anniversary! What a great blog you have, your paper crafts are awesome. I have your blog in my Google Reader! Thanks for offering such great blog candy! Hurray to you on your two year anniversary. Looking forward to many more years of inspiration. Love your blog and follow it in my reader...great blog candy too! Congratulations on your 2 year anniversary!!! I am always anxious to see your new creation each day. Thanks for all the hard work. Hi!and CONGRATULATIONS in your second blogaversary. I'm enjoying yor challenges and this CANDY is awseome. Thanks for inspire and the beautiful creations. Happy Anniversary - what a great job you've done, I enjoy reading and getting inspired everyday - thanks to you. Congratulations on your two years of posting! I love visiting your blog and seeing all the different styles you create. Thanks! Congratulation Barb, your blog rocks and I for one am so grateful for the inspiration you provide on a daily basis! Wow!!! Congratulations on your anniversary, and thank you so much for sharing your wonderful talent. The blog candy is awesome!!! Congratulations on your 2 year blogaversary! You inspire me daily and I wish I'd discovered you sooner Barbara. Here's to many more anniversaries! Wow how exciting!!!!!! Congrats on two years of blogging!!!!! Yay!!!! How awesome of you to give away some amazing goodies!!!!! I just love your blog so much!!!! Thank you fir sharing all of your amazing work!!!! thanks so much for a chance to win!!!!! 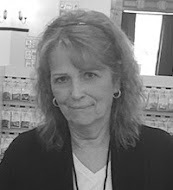 Barb, I truly enjoy subscribing to your blog, and getting the daily inspiration! You are a very talented lady... tanks for the generous blog candy!!! Congrats on two years Barbara! You are SUCH an inspiration!! Congratulations on your milestone! I love following your blog & all your creative ideas! Thanks for the opportunity to win so many yummy goodies! Love your blog and visit it often. Happy Two Year Blogaversary to You! Congratulations on your 2 year anniversary! I love your blog and look forward to reading it every day. Thanks. Happy Second Blogaversary Barb! 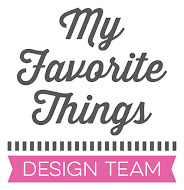 I love coming to your blog for beautiful cards and ideas! You do such georgeous work! It's crazy how fast time goes by! I'm so glad I found your blog. Your work is inspiring and just plain nice to look at! Congratulations!! Barbara, I am so glad I found your blog....I love visiting your blog. You always have such creative projects!! Great blog candy! Congratulations on your second blog anniversary. Love reading your blog. Thanks for sharing all your awesome ideas. Happy Anniversary Barbara! I really enjoy your blog and all the good things you share with us and also that it leads me to so many fun challenges! Thanks for that! I am so happy for your blog success!! I have been a subscriber for some time and I love it! Always a place to get inspiration! Congrats and I am sure there will be many, many more blogaversaries! Happy Anniversary! I look forward to reading your blog posts daily! Thanks for the chance at some awesome blog candy! Woohoo! and Best Wishes for many more blog years! I have been following you for over a year now and your blog is waiting every morning for me to see your delicious and wonderful creations. You are SO good at noting what you use and that helps the rest of us find the products we like. Great selection of blog candy! Would love to win some of your "sweetness"! I am a subscriber so I don't miss any of your wonderful posts. Thank you for the chance to win such yummy blog candy!! Happy Anniversary.. I look forward everyday to see what you have put on your site. You do such beautiful work.Great blog candy.Keep those beautiful cards coming..And thanks..
Congrats on 2 years!!! Thanks for a chance to win your candy. Congrats, Barbara, on your 2 year anniversary! I enjoy beginning my morning with your blog - thank you for the inspiration! Wow!!! Congratulations! I enjoy visiting your blog quite regularly. Barb, congratulations on your second blogaversary!! I hope you won't stop what you do...I enjoy checking out your work all the time! Congrats on the years of blogging! Such a wonderful giveaway! Congratulation on 2 years of your beautiful creations and wonderful tips. Thank you so very much! Congratulations on 2 years of blogging... and many more to come. Thanks for all your inspiration. Thanks for the chance to win your awesome blog candy. Happy Blogaversary!!! Love your awesome blog and all the inspiration you give to me! My email is in my profile. Thank you for this candy opp! Congratulations on your Blogaversary. I love getting your e-mail updates. Terrific looking blog candy - pick me, pick me, pick me!!!!! Barbara, I LOVE your blog and congrats on your anniversary! I don't always leave a comment (I'm a bad subscriber in that way), but you are one of my favorite artists! Congrats on your Blog Anniversary. I really enjoy stopping by and seeing all your wonderful cards. Congratulations on your anniversary. I've followed your blog for a long time in my favorites, but only just now subscribed. Thanks for a chance to win some wonderful blog candy. I always enjoy reading your blog as it comes to me automagically into my email whenever you update. I would really love to win your candy and would gladly give you my first born! Oh come on and take her! LOL Anyway, congrats on 2 years! Happy Blogaversary, Barbara!!!! I love your blog and enjoying following your creative inspiration. I hope you have many more years to celebrate in the future!!! Congrats on your wonderful blog of 2 years! Your blog is one of my favs that I visit several times a week - thanks for all you do! Congrats on your two year anniversary!!! Woohooo!!!!! Happy, happy anniversary!! Two years! Where did the time go. I am new to blogging, and love what you have done! Keep up the great work! No need to enter me in contest! Just wanted to say Congrats and you're an inspiration!!! I look forward to seeing more of the beautiful things you create!! Congrats on your 2 year blogaversary! I followed you through email and just recently changed to google reader. Thanks for all you share with us! Congrats on your 2 year anniversary, but I am not suprised at your success. Thanks so much for sharing all of your ideas with us. Congratulations on your 2 year anniversary. I love looking at all your cards for inspiration. Congratulations on your anniversary, blog is inspiration..
Wow...2 years...congratulations! And thanks for letting us celebrate with you by giving us a chance to win some Blog candy!!! Congrats on your blogaversary. Terrific milestone. You should be proud. I love your blog. Congrats on 2 fab years and I hope many more. Thanks for the inspiration!! Congrats on the blogoversary, Barbara! Time flies! A huge milestone...congratulations..thanks for the chance to win. Congrats on your anniversary and thank you so much for the chance to wine some candy. Love all of your cards, such great inspiration. Have so enjoyed your blog and learned so many things. I'm so new to this "what you can do with paper" journey -- can't thank you enough. Congrats on Your two years of blogging! 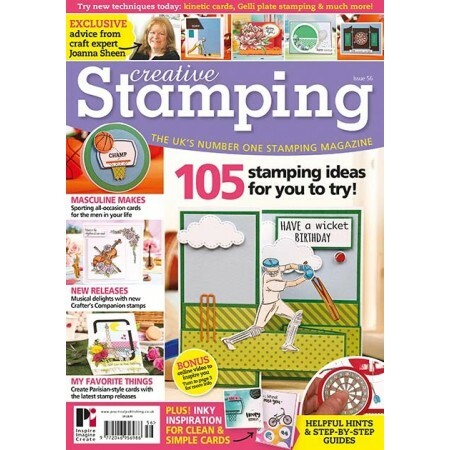 There are some really cute stamp sets for Your blog candy. Count me in! Your blog is so helpful to me as I learn this new craft. Wahoo for you!! I always enjoy stopping by to see what wonderful creations you've made. Thanks for the change at such great candy. Fabulous milestone, Barbara! And fantastic candy, how sweet of you! Although I would never give my first born up I would do a lot of other things to win this! I love stopping by here and browsing, and I love looking at your Throwdown cards too. 2 years goes fast does it not? thanks for the flow of ideas. congratulations on your two year anniversary! I already subscribe and love your site. Congratulations on your 2 year Blogaversary!! That's awesome! I love to see your inventive cards! And I'm loving your AWESOME blog candy...I hope I win!! Congrats on your 2 years! Thanks for inspiring us with your creations! I really enjoy your posts! Congrats on two years! I love your blog and your blog candy looks amazing! Congrats Bar!!! Sure doesn't seem like it's been two years. Time sure does fly. Congrats on the blogaversary! You've been at this a little longer than me. Thanks for the chance for some YUMMY candy too. WooHoo Congrats Barb ... that's awesome ... 2 years, WOW where does the time go! You always share such inspirational projects! Thanks for the opportunity to win this fabulous candy! And good luck in year 3! I love your blog! I follow it thru Google reader. Congrats on your 2-yr anniversary! Thank you for the chance to win this candy. Hi Barbara! This is the first time I've happened across your blog. I love the card and the sentiment, "Geeks Rule." Gotta get that one for myself:) Thanks for the chance to win! congrats! Would love to win! I just love your blog and all of your inspiration. I can hardly wait to get together for another day of fun shopping. Hope to see ya soon. Be blessed WOW...2 years my how time goes by so fast. That's a GRAND prize!!! Congrats! Wow! Two years! Happy blogaversary. Good luck with year three. Two years being creative...you are an icon! I aspire to be as good as you one day. May the next two years be even better! Congratulations! How very generous of you! I love your blog and read it everyday - thanks for the daily inspiration! wow! thanks for the chance and congrats on 2 years!!!! Wow 2 years, I just found your site and have been looking at all of your beautiful postings. Thanks so much for sharing your creativity! I can't wait to see what you design next!!! I always enjoy visiting your blog to see what lovely things you have created. Thanks for the chance to win and congratulations on your two year anniversary. Congrats on your two year blogaversary! I am still trying to figure out how to blog, but I read yours and many others daily. Your creations are wonderful, your inspiration fantastic! Your candy is pretty sweet! WAHOO ON TWO!!!!! I can't believe that there is SO much loveliness on this blog that I get email updates to!!!! Congratulations on 2 years! I love your blog and think you are an amazing talent. Thanks for the chance to win! Congrats on 2 years of craftin fun! Thank you for sharing you wonderful candy! Congratulations on your 2 year blogaversary. I love your blog. I look for your blog updates everyday to see what cool project you have to show. Thanks for the wonderful inspiration. Thanks for sharing. Thanks for a chanch at the GREAT Blog Candy!! Happy Anniversary! That is a lot of blogging! Beautiful creations you have here. congratulations!!! been following for some time now. Love your work. Thanks for chance to win the great blog candy. Congratulations on your anniversary. Thanks for a chance to win...I love your work! Congrats on your 2nd year of blogging! I love your work, and your blog! Congratulations on your 2 year anniversary. I enjoy your lovely cards. Congrats on your 2 yea anniversary. Love all of your creations. I have you in my google reader and look at it daily. Thanks for the chance to win some AWESOME blog candy. Happy Anniversary, Barbara! I love blog candy! Congratulations! And thanks for this chance to win. Here's to another two years!! Dang, I forgot my email. So once again -- congrats and thanks for the chance to win. Congrats on the beginning of Year 3. This is quite a milestone. hope you are around for a very long time! Wow, happy blog anniversary!! Love your blog, you are so creative. I check you every night when I get home from work. Thank you for your creativity and all of your wonderful inspirations. Happy anniversary! Takes lots of hard work to accomplish that. The blog candy looks especially delicious! Congratulations on 2 years, Barbara! I've only been following your blog for just a tad bit less than a year but I LOVE your creations and always feel inspired after I take a look at them. Congratulations!! I just love your blog. You do FABULOUS work!! I know that I'll always be inspired when I visit! Congratulations on your anniversary! Love your work! oh! Happy anniversary!! Thanks for doing a giveaway for us!! Congratulation for your 2nd anniversary! thanks for this chance!! Congrats on two years. Great blog candy. Congrats on your 2 yr anniversary!!! how wonderful!!! Thanks so much for the chance to win this awesome prize!!! Happy 2nd Blogiversary! So glad i found your blog-adding to "follow". A newbie to your blog! What a GREAT bunch of info and ideas! I'd love to have a chance at winning your anniversary give away! thanks so much! Congrats on your last 2 years! Hoping you have many more! CONGRATS on TWO YEARS!!!! AND....what a GREAT assortment in the giveaway...DREAMING of winning! Happy 2nd anniversary! Thanks for the inspiration and awesome ideas. Wow! 2 years of great creations and lots of inspiration for so many of us...Congratulations on your blogaversary! What a fantastic collection of goodies! Congrats on the 2 years--its a lot of work. A big congratulations on your second anniversary!! How wonderful! Thank you for inspiring me! Congratulations on your blogaversary. Love your blog. It has some great ideas. Happy Blogaversary and Congrats! What a sweet candy you are giving away! Thanks so much for the chance! Awesome milestone!! Way to go!! Absolutely love your blog!! Thank for the great giveaway!! 2 years!!! That is fantastic! Love all the inspiration!! Congratulations!!! Great giveaway. I just found your fun blog. I am now following. Happy Blogaversary! lol Iknow I just spelled that wrong. Congrats on your blogoversary! Been a long time lurker, and have gotten much insiration from your blog...I thank you for that!! I look forward to seeing more of your creations!! Hey sweet, 2 years seems like sort of a long time in the blogosphere. Congratulations! What a super fun giveaway! Congrats on hitting the 2 year mark! Fabulous!! Congrats on 2 yrs... Love the anniverary candy too!! are you sure you don't want my first born? I am to the point where I will give him away.....lol. Congrats on your 2 year blogaversary and thank you for a chance to pick up such great candy!! A 2 year anniversay, congrats. Thanks for the change to win your generous giveaway. Congratulations - two years - I have been doing mine that long and it has been great fun. Thanks for the candy. Happy Anniversary. Love your blog, I am a subscriber on Google Reader! Thanks for the opportunity for some sugar free candy -- my favorite kind. Hi I just came across your blog and wanted to leave you a message. I see you like many of the same things I do colors etc. I am so happy for you celebrating 2 years of your blogging. Congrats on your blogaversary! Looks like yummy stuff! I forgot to leave my email addy- fkayct@hotmail.com. Again, congrats on the blogaversary! Congratulations and happy blogaversary! Thanks for the chance to win this awesome giveaway! Thanks for the opportunity to help you celebrate your 2nd year anniversary. I just started scrapbooking and paper art. 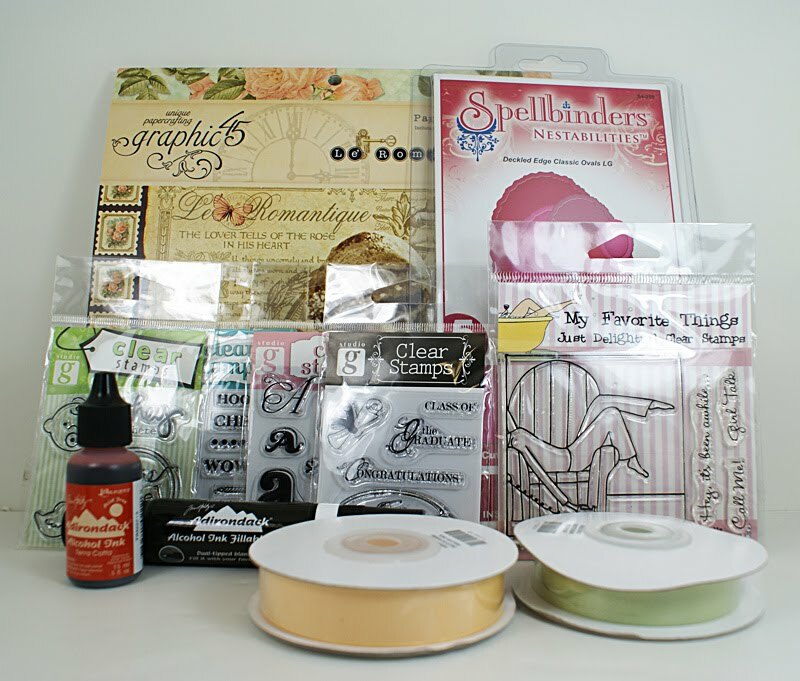 Would love to win this package of goodies to add to my stash. Blissful congratulations on your blog-i-versary, I wish you many more wonderful years to come! Heartfelt thanks for holding this splendid contest, it's so lovely of you to do for your readers. Love your blog. Lots of great ideas. Congrats on your 2nd anniversary. Congrats on the 2 Yr. Anniversary!! I've just started into scrapping and would die for the Spellbinder Dies as I just bought their machine. Congratulations on your anniversary! Love the blog and I'll be back often. Congratulations on your anniversary, here's hoping you have many more. Thank you for the chance to win these great goodies. Congratulations on your 2 year blogaversary, I love the stuff you have on here. once again, happy 2nd blogaversary! Happy 2 years of great ideas. Thanks for sharing your creativity. Super great blog candy! Oh my gosh, I just stumbled ontoyour blog and LOVE IT.. I made a shortcut on my desktop so I can follow regularly. What a great giveaway, somebody is going to be very happy to win this.. hope its me!! Congrats on two years, I'm new to your blog cant wait to look around. Congrats on your 2 year anniversary!! Thanks for sharing all your paper crafting talents with us!! Thanks for the awesome candy! !